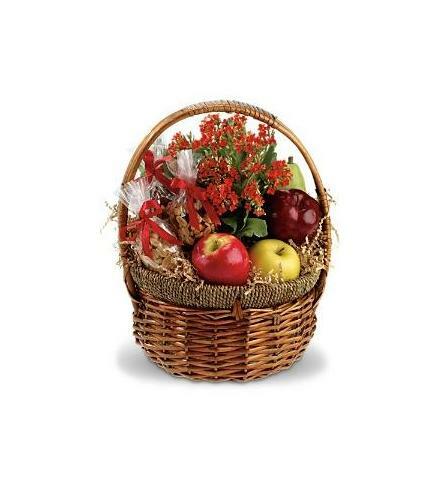 Apples and pears are joined by trail mix, mixed nuts, peanuts and a kalanchoe in a charming wicker basket. Happy. Healthy. Yummy!. Gourmet Fruit Baskets Delivered - Health Nut Basket.